I created this mark to be featured on the programs at the Texas A&M College of Medicine Class of 2018's Cadaver Memorial Ceremony. 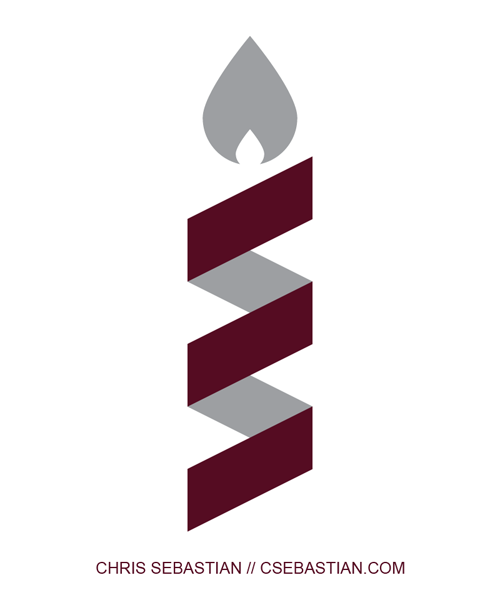 The mark combines the double helix of DNA with the flame of a memorial candle. The ceremony honors the memory of the individuals who donated their bodies for our medical education.